We will not rent, sell, loan, trade, or give away your name, address, email address, credit card information or personal information to any third party for marketing purposes without your permission. If you have purchased from our store, subscribed to one of our newsletters or entered a contest we may occasionally update you via email of special opportunities. BowlerX.com doesn’t like it when someone gives away our personal information and neither do you! That’s why we don’t rent, sell or share your personal information with anyone. BowlerX.com uses Secure Sockets Layer (SSL) technology to provide you with the safest, most secure shopping experience possible. SSL technology enables encryption (scrambling) of sensitive information, including passwords and credit card numbers, during your online transactions. All of the forms on our site are secured with SSL technology so your personal information stays safe and out of malicious hands. BowlerX.com servers are protected by secure firewalls—communication management computers specially designed to keep information secure and inaccessible by other Internet users. So you’re absolutely safe while you shop. A: The following shipping options are available when you check out. Expedited orders placed before 1 p.m. Eastern Standard Time on a business day will be shipped out the same day. All other orders will be shipped out the next business day. Expedited shipping is not available for shipments to Hawaii, Alaska, U.S. Territories, PO Boxes, or Military APO/FPO addresses. Please allow additional time for orders shipped to these addresses. A: Yes, we do ship to international locations other than U.S. Territories and Military APO/FPO addresses. Please email us at customerservice@bowlerx.com for a shipping quote. Q: How are orders shipped and delivered to Alaska or Hawaii? A: Packages are sent via USPS Priority Mail for a nominal shipping cost. Total shipping fees are calculated and can be viewed BEFORE the checkout and payment process. USPS Priority Mail can take 5-10 business days for arrival to these locations. Q: How are orders shipped to US Territories and APO/FPO addresses? A: Packages are sent via USPS Priority Mail for a nominal shipping cost. Total shipping fees are calculated and can be viewed BEFORE the checkout and payment process. Please allow additional time for orders shipped to these addresses. A: Once an order has shipped out, we will send you an email with the tracking number. Tracking information will normally arrive within 24 hrs. after order processing. Orders placed after 1pm EST on a Friday may not receive tracking information until Tuesday morning. A: For standard shipping, you should receive your order within 4-7 business days. Please allow additional time for shipments to U.S. Territories, PO Boxes, or Military APO/FPO addresses. *All expedited orders placed after 1pm EST, please allow 1 additional business day for delivery. Q: I just received an email with my tracking number and the number shows my order was delivered. How is that possible? A: UPS recycles all of their tracking numbers. Sometimes, for a full day after a tracking number is assigned to a new package, the information available will pertain to a previous order that traveled — sometimes months ago — under that same number. When this happens, please rest assured that your tracking information will be available within a short period of time and should indicate the correct delivery date. Once the package is scanned by UPS, you will also be able to click the “view package progress” link, and the updated tracking detail will be reflected. Q: Oops! I accidentally placed my order with normal 4-7 business day delivery shipping, but I need the order tomorrow! A: If you’ve just finished placing your order, please call us and we’ll try to modify your order to next business day shipping assuming we haven’t yet hit our 1pm cutoff time. Please know that an additional shipping charge may apply. If more than an hour has passed, chances are good that our efficient warehouse staff have already packed and shipped your order! In either case, please call us for further assistance so that we can help get your order to you. Q: Oops! I accidentally placed my order with the incorrect shipping address. What should I do? A: If you’ve just finished placing your order, please call us and we’ll update the address before the order ships from our fulfillment center. If more than an hour has passed, chances are good that our efficient warehouse staff have already packed and shipped your order! In either case, please call us for further assistance so that we can help get your order to you. A: Buyer is responsible for all return shipping costs to our warehouse. Products returned must be new, unused, un-drilled, and in the original packaging. Call customer service at 844-269-5379 for an Return Authorization Number (RA#) and warehouse address – *PLEASE DO NOT RETURN TO RETURN ADDRESS ON LABEL*. If items are damaged during delivery or defective please see our Warranty Policy below. A: All orders shipped to a destination within the United States ship free of charge. Alaska, Hawaii, U.S. Territories or Military APO/FPO addresses are shipped at a nominal fee which is calculated and can be viewed BEFORE the check out and payment process. A: Typically, we do not require a signature when we ship your package. However, there are instances when the delivery driver may decide to choose this option, which is at their discretion. We do not offer International Shipping options at check out. If you are from outside the Continental USA and its Territories please email us at customerservice@bowlerx.com for International Shipping quotes. If you have received an item that is damaged and you feel that it needs to be returned please follow these simple steps: Email us at customerservice@bowlerx.com with a description of the damage and photos of the item (and shipping box if it was damaged). Please include your order number and your telephone number along with the best time to reach you. If you are not able to send images of the defective item please call us at 844-BOWLERX. Our return policy is simple – If you are not happy with an item, you have 30 days to return it and get a full refund. No restocking fees**, no hassles, no questions to get your money back. All we ask is that items are unused, in original packaging and shipped back double boxed/bagged for protection. 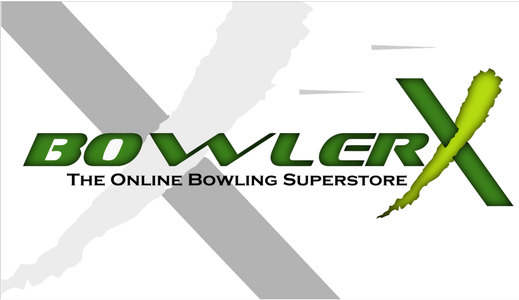 If you have any questions call us at 844-BOWLERX or email us at customerservice@bowlerx.com. – Buyer will be responsible for all return shipping costs for the return to our warehouse. – Products returned must be new, unused, un-drilled, and in the original packaging. The original packaging must be shipped in a protective box or material or they will not be accepted for exchange/return. – Shoes must be tried on to check size on a CLEAN, DRY SURFACE. If shoes are not returned/received in new and unused condition they will not be accepted for exchange/return. -Product that has been worn or used. -Products that are NOT shipped back in the manufacturer’s original packaging. All returns MUST BE double boxed to protect the original manufacturer’s packaging. **All DYE-SUBLIMATED Returns/Exchanges are subject to a 25% restocking fee (non-personalized ONLY). One free return per original order only. If additional returns are required shipping costs will be at the buyer’s expense. We’ll DOUBLE the manufacturer’s warranty up to an additional year for only $5.95! You’ll bypass the lengthy manufacturer’s claims process and work directly with us! No additional costs of any kind. This offer only applicable in the contiguous United States. If your new ball cracks when it’s drilled by a pro shop, BowlerX.com will replace your ball free of charge! Manufacturers’ warranties typically do not cover cracking during drilling and drillers are not held responsible for their mistakes or defects in the ball. If during the first year of normal use, your new shoes are damaged due to a manufacturing defect in workmanship or materials, BowlerX.com will replace your shoes free of charge! With our Shoe Protection Plan, there is no need to wait for a lengthy manufacturer warranty claim. We will replace your shoes immediately. If your new bag is damaged due to normal use during the first year, BowlerX.com will replace your bag free of charge! Manufacturers’ warranties typically only cover defects in the bag and do not cover normal wear. With our Bag Protection Plan there is no need to wait for a lengthy manufacturer warranty claim. We will immediately replace your bag due to a broken handle, wheel, or zipper.